In 1912, a building was constructed at 133 Second Avenue in downtown Decatur to house A. Z. Bailey Wholesale Grocers. The business thrived until the death of Mr. Bailey in 1937 and the building was subsequently taken over by Ragland Brothers Wholesale Grocery. This company held residence through the 1940s and into the early 1950s. For its first forty years the building served its initial intended purpose – food distributors. After that, it became H. Ryan Furniture and Appliance from ca. 1952. It later became known as the Robinson Building, owned by Paul Robinson, which housed a fine furniture retail store, Robinson Furniture, Co. for years. The exterior architecture of Phase I of the ACA takes cues from the Robinson Furniture Building, shown here prior to demolition in 2008. In 2003, the City of Decatur and the Decatur-Morgan County Chamber of Commerce conducted a planning study focusing on the revitalization of the downtown Decatur area. 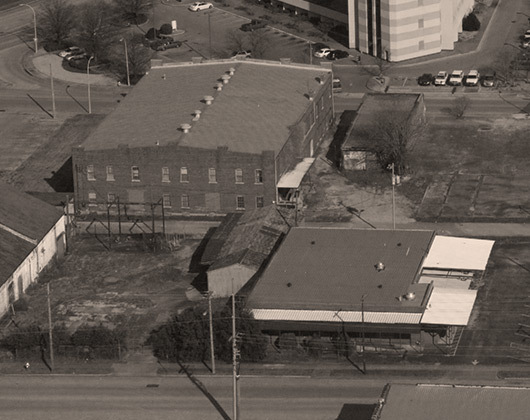 This study, Envision Decatur, was the establishment of an “Uptown Arts District,” which would serve as “the City’s premier nighttime arts, cultural, and entertainment district.” This district would be anchored by the existing Princess Theatre and would attract creative people to live and work in the district, as well as additional restaurants, shops, galleries, and artist’s lofts, so that the district might grow into a new identity. Among other things, the study recommended “the creation of arts-related programs, festivals, education, and other activities” to encourage the development of the district. 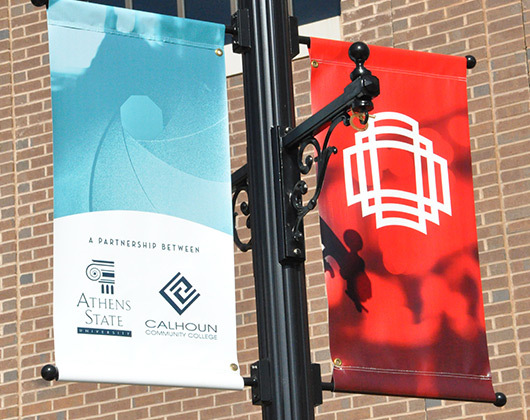 In 2005, the Alabama Community College System and Calhoun Community College proposed the idea that Calhoun’s Fine Arts Department might be relocated to a downtown Decatur facility in a joint venture with the City of Decatur. While some initial plans were developed, the implementation of the venture remained on hold due to subsequent changes in leadership at the Chancellor-level and the pursuit of other initiatives by Calhoun and the State of Alabama. 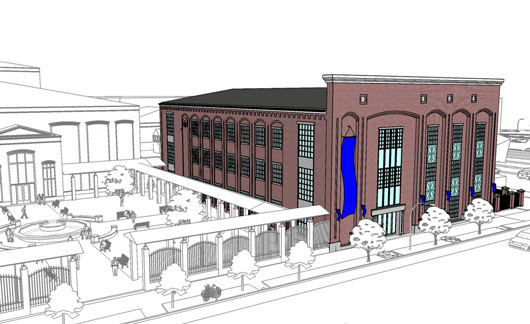 The idea for an arts facility resurfaced in 2008 to include Athens State University in a joint venture as suggested by then Athens State President Robert Glenn shortly after his appointment as President in August 2008. It was at this time that the Decatur Downtown Redevelopment Authority put forth its five-year strategic plan for the redevelopment of downtown. In its four areas of development, City Center was highest priority with the fine arts school as the number one project overall to be the economic driver that would move the plan forward. Details for Phase I of the joint endeavor between the two institutions, focusing on the visual arts and art education, were formalized and eventually approved in March 2010 by the Alabama State Board of Education. 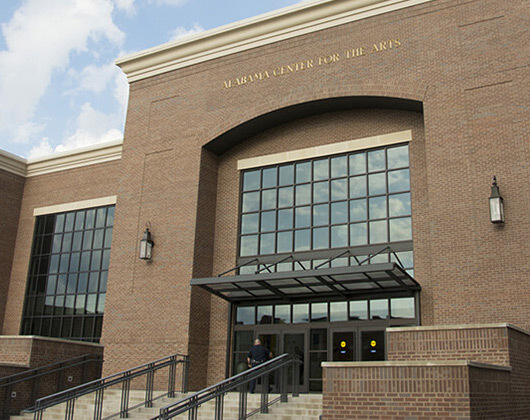 The Alabama Center for the Arts opened Phase I, the Visual Arts building, in August 2012. 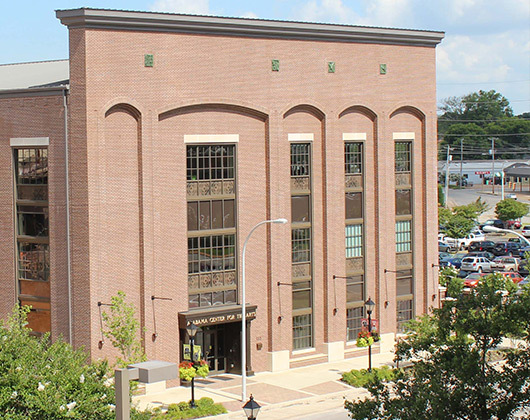 The 44,000 square foot facility is located in downtown Decatur across from the Princess Theatre where the former Robinson Furniture building once stood. It represents an investment of over $10 million dollars from Athens State University, Calhoun Community College, the City of Decatur, and Morgan County. College courses taught at the ACA will lead to Associate of Science and Bachelor of Arts degrees with class offerings that include art appreciation, painting, drawing, computer graphics, sculpture, ceramics, and pottery as well as a teaching major, leading to licensure for art instructors. Phase II, the Performing Arts building, encompasses the music and theatre classes and performances and opened in August 2016. The Performing Arts building is a 44,000 square foot facility located adjacent to the first phase and includes classrooms, labs, a black-box theater, a recording studio, rehearsal rooms, a keyboard room, and offices for faculty and staff. College courses taught in this facility will lead to Associate of Science and Bachelor of Arts degrees with class offerings that include music appreciation, dramatic literature, theatre appreciation, acting, various music classes, jazz, chorale, etc. The Alabama Center for the Arts is centered around a cooperative agreement between Athens State University and Calhoun Community College, whereby each institution continues to offer their respective art programs and degrees, but also work cooperatively to address the educational needs of students interested in the visual arts, and to expand opportunities and experiences in the arts for students and members of the regional community.